This is an absolutely superb bowl and a new design for 2017. The bowl actually comprises 5 incalmo layers. The layer in the base of the bowl is blue and white latticino, above which is a vetro a fili white cane work layer. 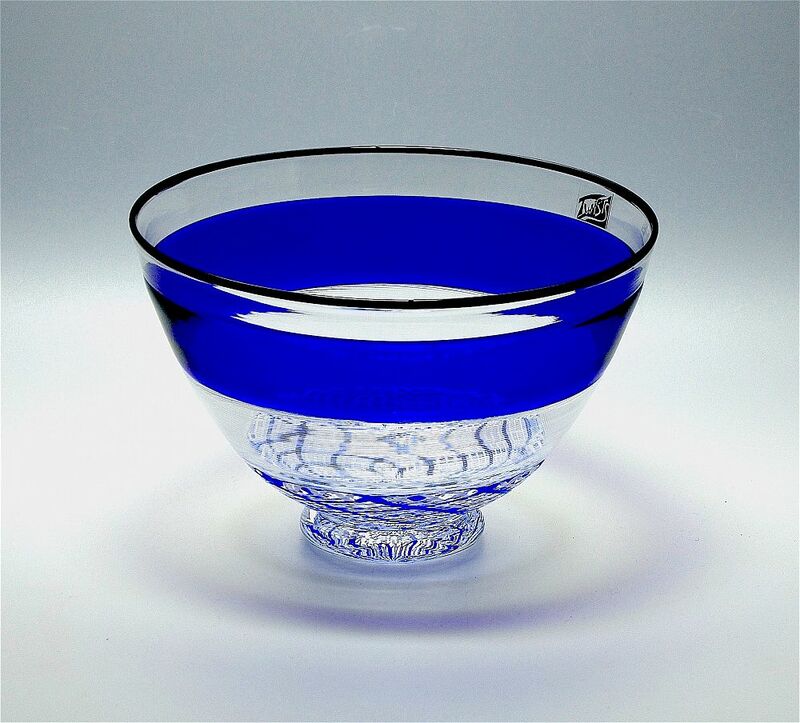 On top of that is a blue glass layer, followed by a clear glass layer whilst a thin black layer forms the rim and 5th layer! When I look into the base of the bowl it reminds me of the designs produced by the spirograph set that some of us had in the 1960s! 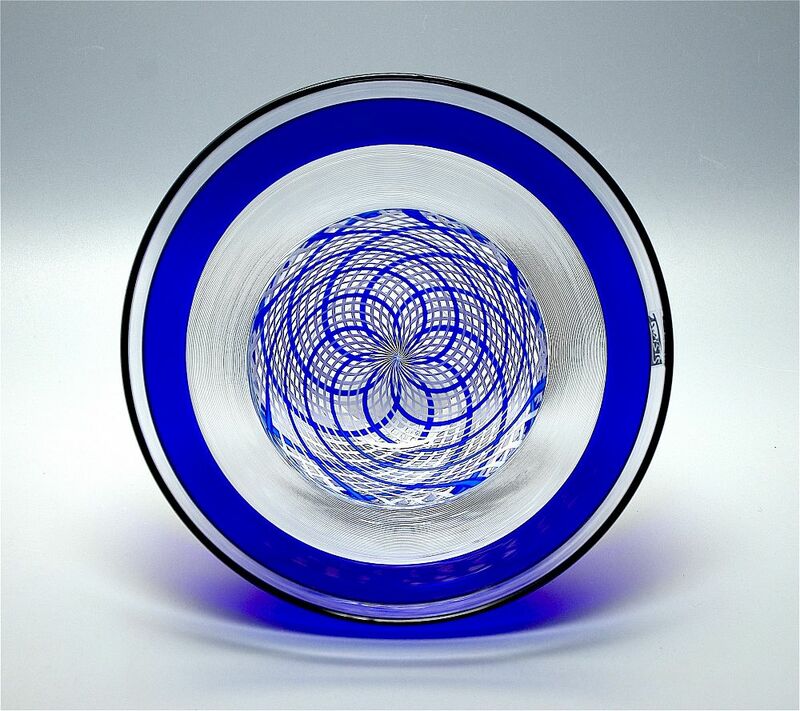 The bowl is supported by a round clear glass foot that is scratch signed "M Hunter Twists 17" and has the Twists Glass studio label.